Woods Cross, Utah (Newswire) — As branded title cars continue to grow in popularity amongst new car buyers nationwide, the version of branded title vehicle many buyers seek first is “hail damage”. These rare vehicles require minimal reconditioning while still being priced at the same discounted price of other types of branded title vehicles – generally around 25% below non-branded book value. The most recent hail weather event in South Dakota allowed AutoSource to acquire nearly new vehicles. This rare acquisition encompasses many of the most popular brands in the automotive industry including; Jeep, Hyundai, Mitsubishi, Mazda, Chevrolet, Ford, Dodge, Toyota, Infiniti, VW and Kia. The majority of this special inventory are model year 2015 or newer, with a full half of them being model year 2017 or newer. Ninety-three of these vehicles are 2018! Some of the top selling models of cars in the U.S. can also be found amongst this special acquisition, including; Mitsubishi Outlander, Jeep Renegade, Hyundai Sonata and Hyundai Tucson. Car buyers in winter-effected states will be pleased to learn the majority of these vehicles are in fact all-wheel-drive and four-wheel drive. To see the specific vehicles in this rare acquisition, click here. 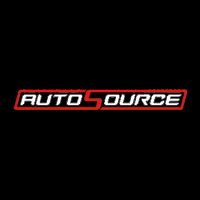 To see the entire AutoSource branded title inventory of cars, trucks, SUVs and minivans, click here.